We all know very well that Quora is the 95th most visited website on the internet, hence, gaining more than 700 million monthly visits. 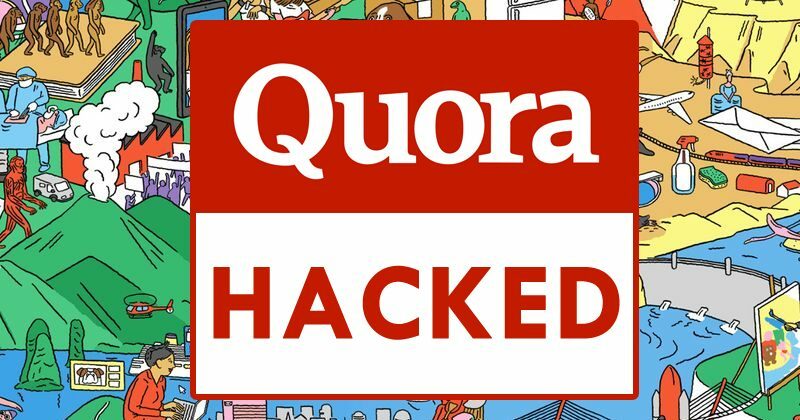 However, now according to the latest reports, the well-known question-and-answer website, of course, Quora gets hacked and more than 100 million users data stolen. We all know very well that Quora is the 95th most visited website on the internet, hence, gaining more than 700 million monthly visits. This website simply works like the well-known Yahoo! Answers portal where people can simply ask questions and users around the globe simply answer them to clarify the doubts. The well-known question-and-answer website, of course, I am talking about Quora has been hacked. This well-known question-and-answer based portal was launched in 2010, and since then they have not stopped growing. But, recently, the security experts of Quora has discovered a major security breach that has exposed the data of its 100 million users to unauthorized third parties. Account information: name, email, encrypted password and data imported from associated networks. Public profile content: questions, answers, comments and votes. Non-public content: response requests, negative votes, direct messages. Moreover, any possible data associated with the accounts have been affected by this failure. However, the fact is that the passwords are encrypted is good, but in most of these cases the attackers manage to reverse the encryption process and get the passwords in the plain text once they can guess what encryption process has been applied; especially if they have used one with less than 10,000 iterations. 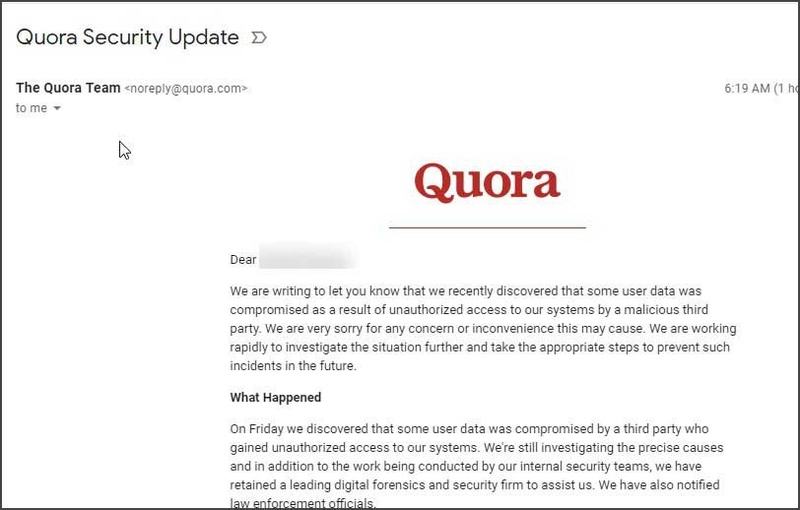 The security experts do not close any possibility, and at the moment they do not know how the attacker has managed to have access to the systems of Quora. Moreover, the users of the well-known web portal, of course, Quora are already being contacted by the company to tell them to change their passwords as soon as possible. Luckily, no more serious personal information was stored on the website like bank details, identity number or personal physical address etc. Hence, if you have an account on Quora, we recommend that you must change the password right now. And not only that even you should also change all your passwords of different services, as soon as the attackers manage to hack the ones they have obtained, they will simply begin to test them in all kinds of services like Facebook, Instagram, Steam, etc. So, what do you think about this? Simply share all your views and thoughts in the comment section below.